Buying a home? 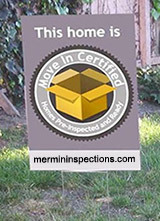 Make sure it's Move In Certified. Selling a home? Certify it now! Jacob Mermin Inspections is a full service company. 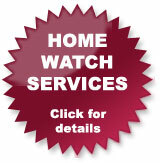 We are a Florida licensed home inspector. We can perform a home inspection or a mold inspection. We can inspect your air conditiong, and your duct work. We can also recommend mold testing and all types of remediation. We can evaluate your air conditioner and if needed advise you on the purchase of a new higher efficiency system. comparative estimate. We understand this and appreciate your concerns. At our company we believe if we act professionally, use top notch equipment, strive to do the best job possible, and most of all treat you with respect, we will earn your business. For those times when we do not earn your business, we would like for you to know you can always call us for answers and advice at 239-243-7322. We now carry Air Conditioning Parts, Florida Storm Kits and Air Purification Products. Please visit our Air Conditioning Parts Catalog for more information. Did you just have a new system installed in your home? Have Jacob Mermin Inspections do an independent inspection of your new system. We will test your systems air flow, air temperature and humidity control. Jacob Mermin Inspections will also inspect your ductwork, and how it is working with your new system. Jacob Mermin Inspections will make sure that your house is not contaminating your new investment. Click here to view complete inspection form. Has someone told you that you need a new system? If so, let Jacob Mermin Inspections help you design a system to fit your house, your needs, and most of all your budget. Have an independent inspection company help you decide what is right for your family. Together we will fufill the requirements that you decide are important to your family. You will choose the brand, efficiency level, duct system, indoor quality products, and most of all how much money you want to spend. Don't let anyone make these decisions for you. After you decide what's best for you, you can call for as many bids as you want. Remember with Jacob Mermin Inspections your are in charge of your air conditioning and indoor air quality. Full Service Home Inspections, serving Fort Myers, Cape Coral, Lehigh Acres and all of Lee County Florida.